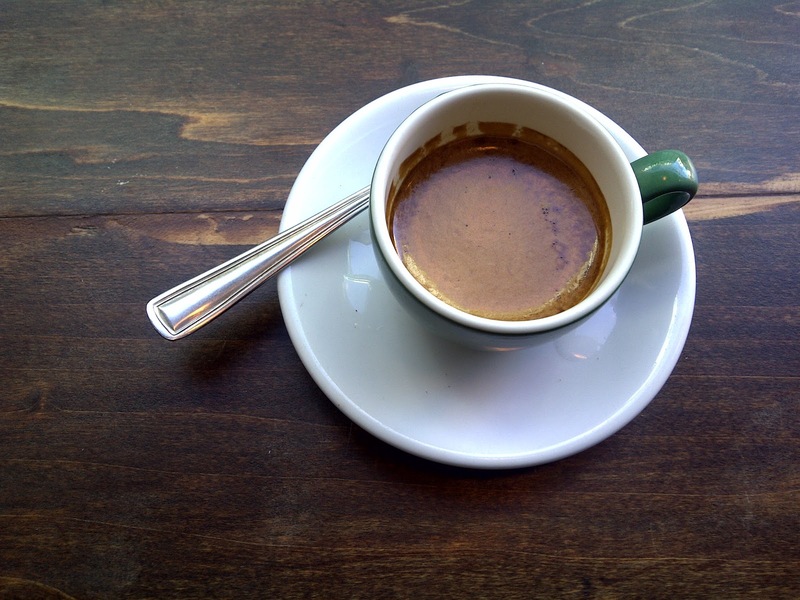 Going through my one-day DC area Espresso Adventure, I realized I missed a location. 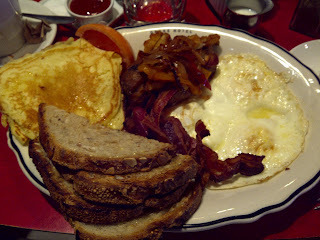 After driving from Filter Coffee, we made our way to M.E. Swing (Iconic coffee house near the White House), where the history is captured in the wall hangings. Apologizes for misleading you on the group. When I think of the upcoming Civic Holiday/Simcoe Day - it means 3 day weekend. Middle of the summer, and almost an end to amazing weather. Le Sigh. Throwing up a picture of my trip to the West Coast and SF. GET OUT AND ENJOY THE SUN! 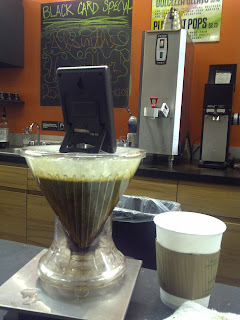 Recently going through some coffee archives and noticed that I did not post up my experience with Detour's Santa Clara. 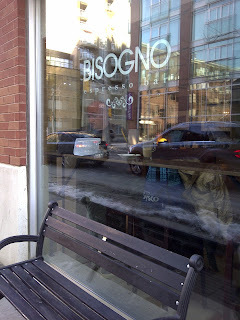 Realizing it's not available for purchase, it's still good to throw my thoughts about my experience over at Bisogno. Always a line-up (pre 9AM) for drinks, it's not surprising that the condo dwellers have made it their morning ritual to descend here. If you notice the location - this was taken when there was still snow. Experienced this SO espresso sometime in March. Am I hinting that I want winter - heck NO. I'm enjoying this heat wave! Bring on the California Sun! More Sun, More Sunscreen, More bronzing power! Verdict: Sweet fleshy barlett pear notes, with traditional cocoa. Can't wait until next crop! 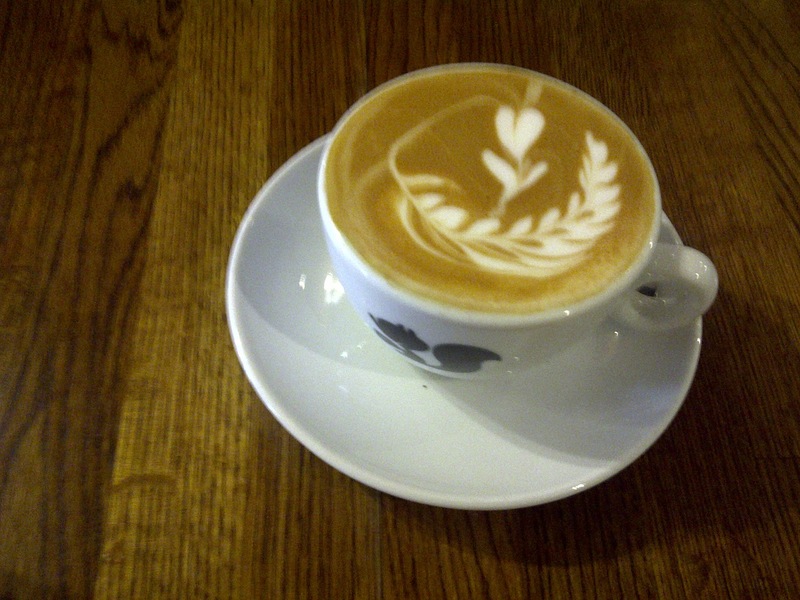 Eastern Regional Barista Competition is happening this weekend in Quebec City. Drink your Iced Mocha and watch the stream to cool off this weekend. Enjoy! 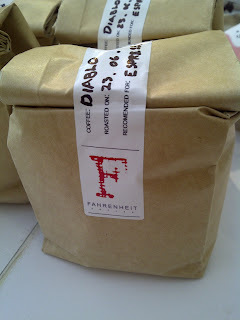 I know Ill be having a relaxing weekend playing with some coffees that just came in from Calgary. Prairie Regional Barista Competition happening August 5-6 at Fratello. 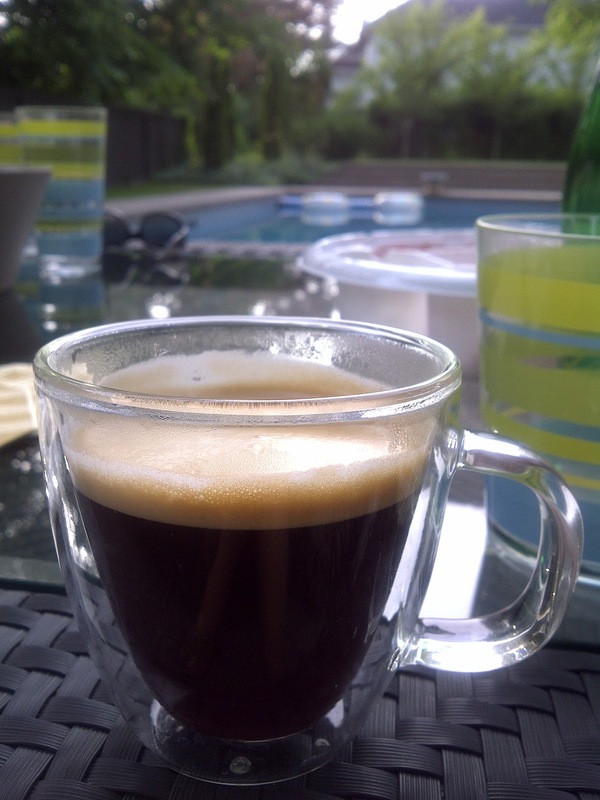 Enjoy the weekend, maybe go out on an espresso adventure! Do you have a weekly meeting with your friends? Sort of like when the cast of friends would meet up at Central Perk? How do you keep in touch with them.... over coffee and patios. We decided to keep it central enough that we'd have the best of both worlds. 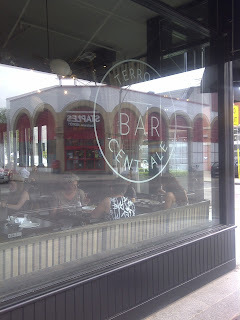 Quiet and quaint enough to relax on a patio but close enough to the bustle of the heavy traffic. 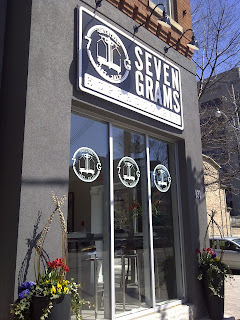 On this visit, we were able to chat about the Toronto Coffee scene and met one of the roasters for T.A.N. 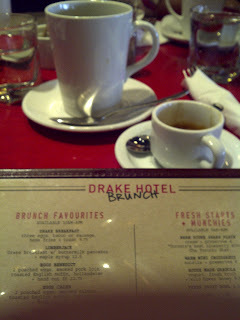 Thanks Justin for giving us a run down of your coffee menu, and espresso blending philosphy. Looks like the next blend is going to be good. Want to know what that's about? Go check them out. Labels: Baldwin Village, Cold Drinks, T.A.N. Visiting the West is usually a task that I often enjoy - part of the exploration of food, friends and good times. 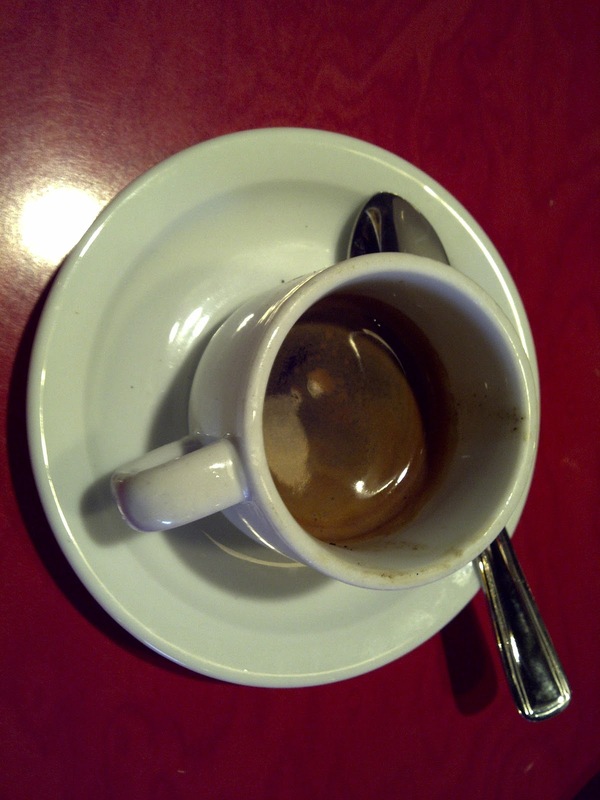 Part of the food for thought will chronicle the joys of espresso through establishment more recognized as restaurants. Continuing down this road is Gayley's. Neighbourhood charmer that fits about 8 small tables - but comfortable enough to enjoy your meal. Nice bay window to view passer-bys and take in the sunlight. A counter full of goodness in baked format, and a wall with 10 different coffee beans available for purchase. 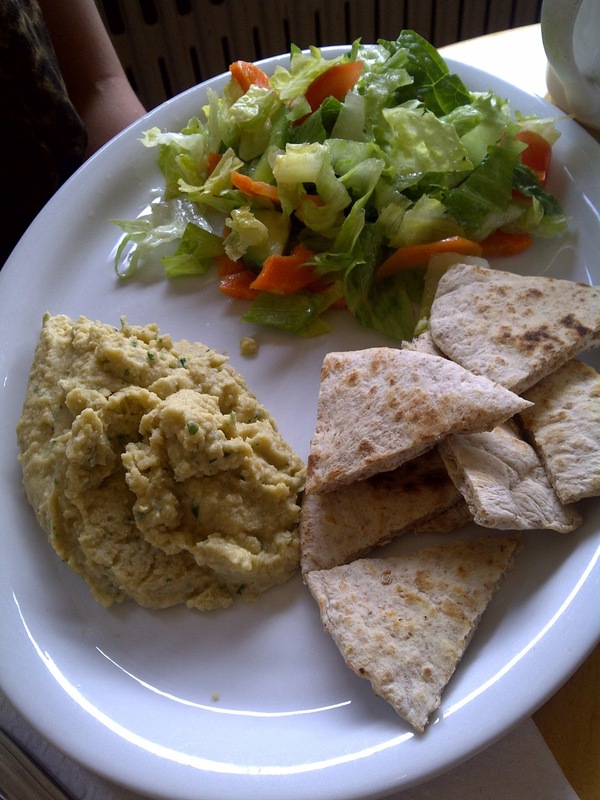 Freshly prepared meals is what drives their menu. Driving through downtown Washington was a throw back into the fusion of American architecture and modern design. Not only were the office buildings relics of the 1950/60s, but the streets felt like freeways. Letters and numbered streets makes it easy to navigate. 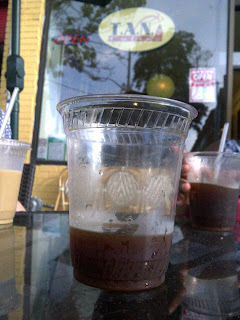 Mercury Espresso has COLD BREW coffee! Cool down now. Watching the Yorkville area transform into a cafe cultured location seems unwarranted. This is definitely an area where you'd love the clientele if you could attract them to stay. 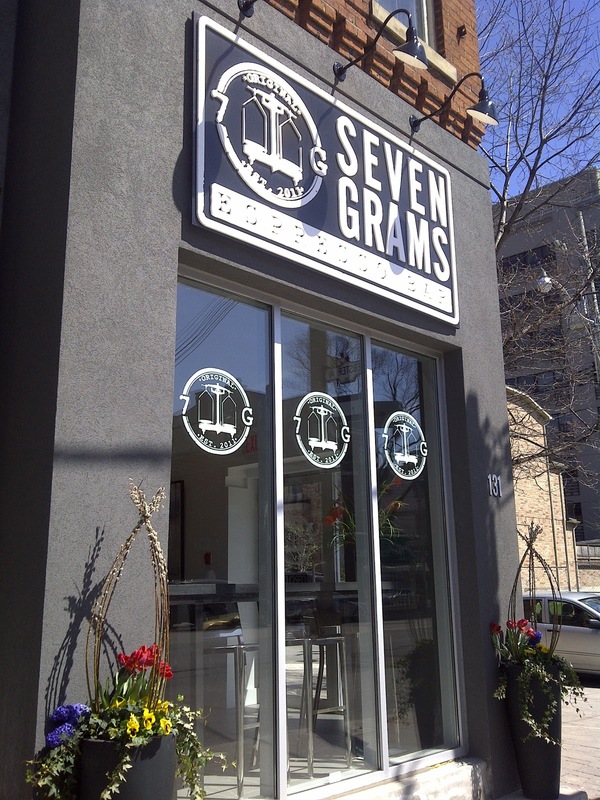 Seven Gram has re-designed the space on Avenue into a coffee haven, mobile office space, and third-party meeting hub (consisting of a plethora of tables in the lower level). Using the entire building, the high ceilings create a spacious surrounding as you enter into the shop. Beautiful designed decor would be an understatement. They have clearly put a lot of thought into the details, not sparing anything from the logo to clean aesthetics. it's everything that Yorkville embraces. Details, details, details - especially coffee. Terroni is an Italian restaurant, focusing on quality dishes. 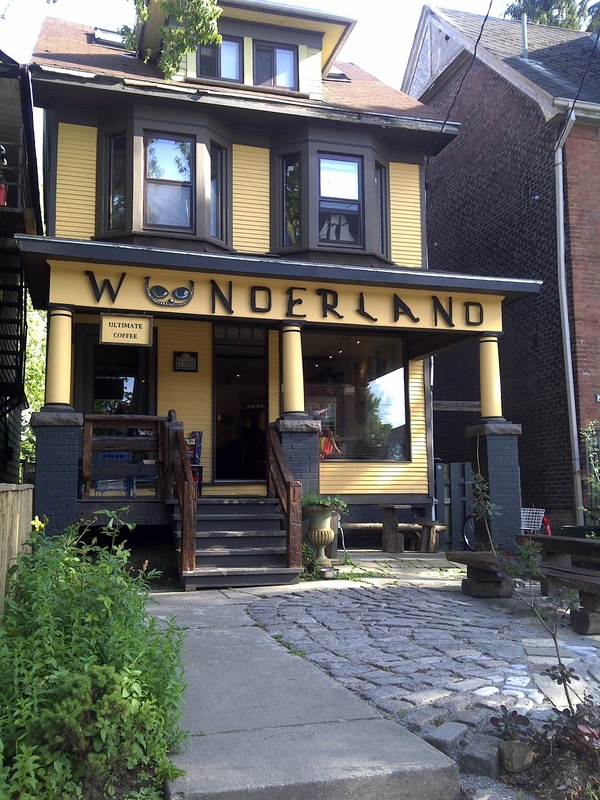 They have several restaurants/ bars under their umbrella with 5 locations in Toronto and 1 in LA it's a mini chain in our books. NY adventures will have to wait til next week! Or this afternoon. Question: What are you really enjoying right now? What if we in NA could cultivate greenhouse coffee beans? News wrap-up from the previous week if you weren't aware, there was some great stuff happening. Crafted by Te Aro turned One this past Saturday. More exciting news coming up soon, about special events - showcasing Roasters from around! I challenge everyone to keep a Coffee Journal for the 5 days, I'll show my notes on Friday. On Saturday I'll include what other readers choose to note/not note for the work week. A totally coffee geek fest, but loving why and what we do it for. Summer is here, and it's a lot easier to motivate yourself to go out in the early brisk mornings for the jog around the block. Since the spring months, I noticed the newly painted house near Woodbine and Queen, but never gave it more than a quick glance. 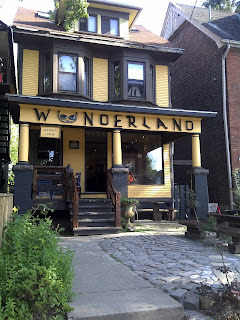 "Wunderland".... with the Cheshire Cat eyes - seemed magical, with cobble front courtyard. 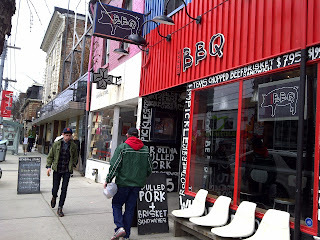 It seemed like a new store front/ art gallery for the beaches. On an evening run recently I noticed it was actually an espresso bar, but how could I just stop in for an espresso and continue the run - well, I could have but that just seemed - cafe faux-pas. Here is the post, Aaron Blanco response. #YesEqual. The website asked for support on this matter, and they got some awesome twitter action. while there, it was a coffeegeekin moment, and this video was shared from Matt (Manic Coffee). Josh (Level Ground), Cliff (Bridgehead), and got to chat with Elizabeth (COAG). Great way to spend a Thursday afternoon. Barista Champion has been crowned. It was a tight race, with 10 points separting the top 2. 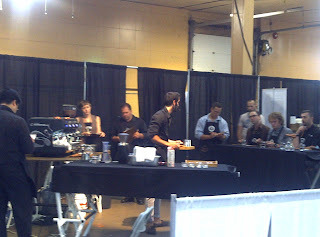 Laura Perry from Bridgehead (Ottawa, ON) stole the show, laying it down against Kaelin from Detour Coffee and Matt from Manic. Quick post, with more details to come. Thank you to everyone that helped to pull off the expo. 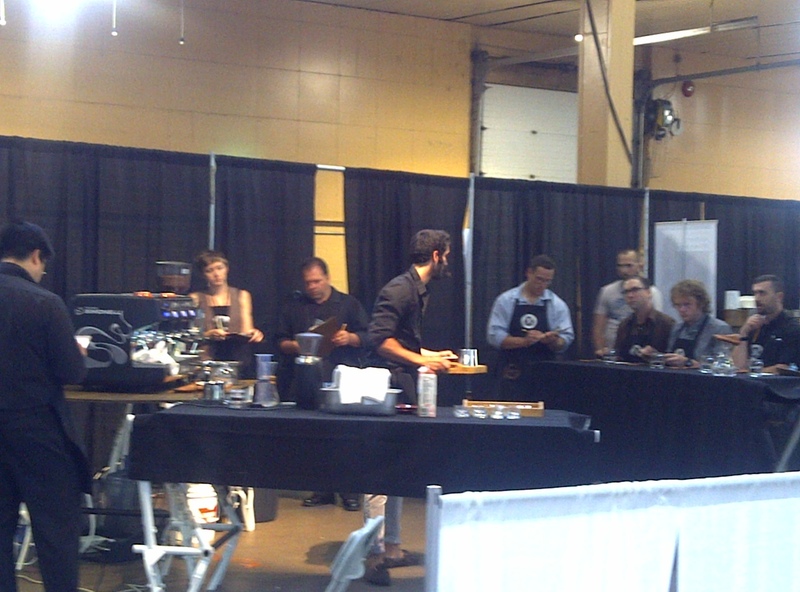 Great 2 days of Coffee, competition and great conversations. 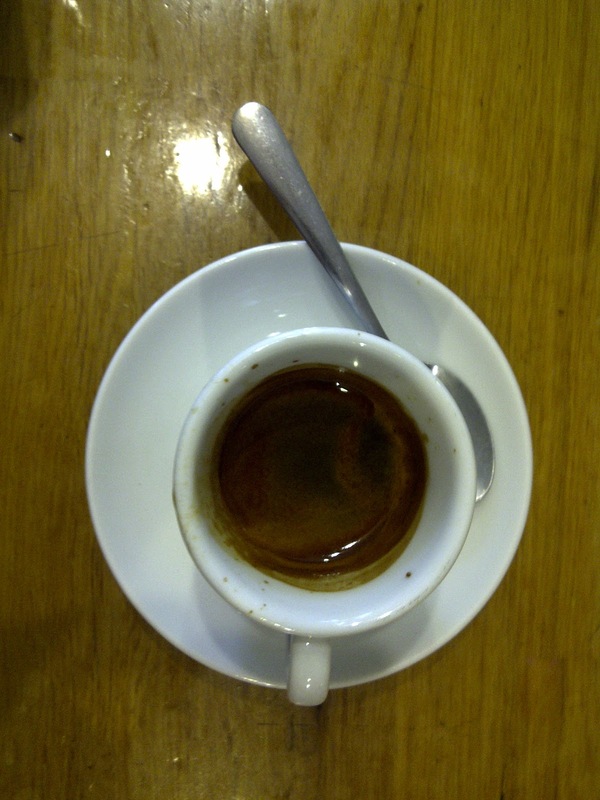 10:45AM Sameer from Fahrenheit (SO Kenyan Kandaru) Roasted for 14 minutes. First sip: Bright, 2nd sip: Citrus Sweetness. Sig Drink/espro looked interesting ; Over ice and an icecream sandwich? 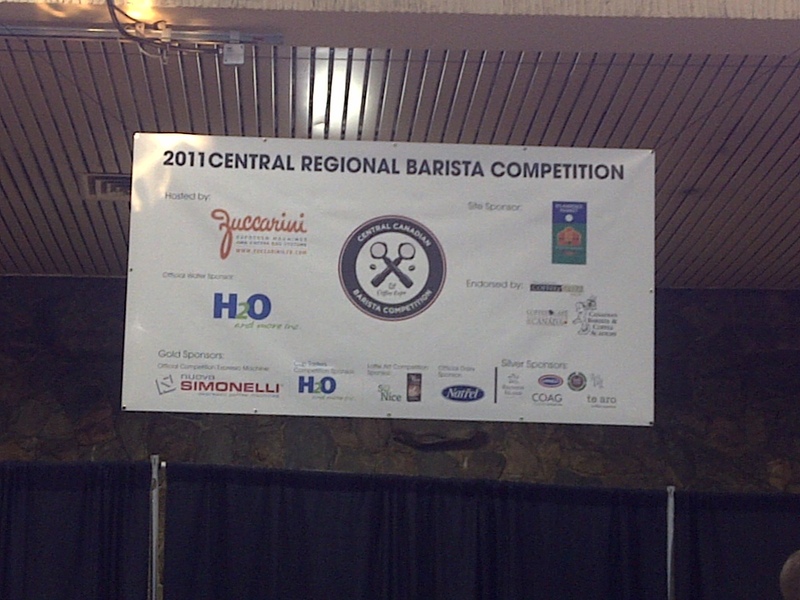 Looks like the Central Canadian Barista Championship and the kick off to the Regional competitions are underway to help to crown our national barista champ on Oct 3, 2011 - in Vancouver. Time: Today 9-5, tomorrow 9-5pm. Hope to see some of you around this afternoon. A visit over to Prospect Park, meant that I'd be able to see what's happening at the narrow location of Cafe Grumpy in Park Slope. Literally less than 10 minute walk from the lushish greenery, I was treated to a hand poured cup using a Kone Chemex Filter made by Coava Coffee. As I approached the exterior of the unassuming location, I spotted a couple sitting on the bench outside, enjoying their Iced Drinks. It's been quite the swelter in NYC with temperatures reaching 27+ degree range (80ishF), but the rain has also made the days not so enjoyable. 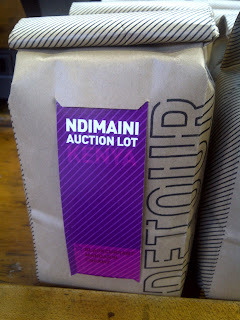 Hasbean, St.Ali, Square Mile, Taf, Ecco, Gimmie, Koppi, Waterloo Tea. Leading up to the CCBC made we think of some compeitiors from last year. First person that popped into my head was Sameer. Had a pleasant ride to his shop, and was seriously hoping to get some Diablo action. 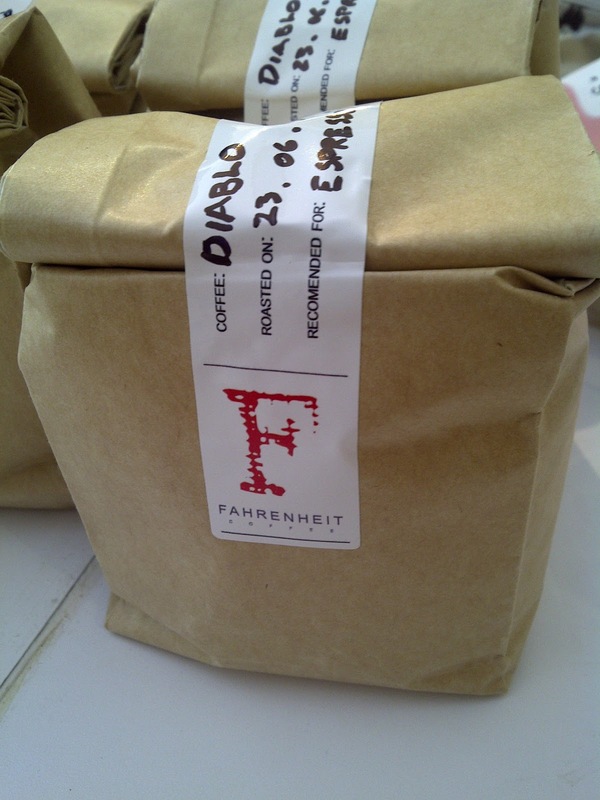 To my luck; Diablo was in the hopper; score! Central Canadian Barista Competition & Coffee Expo 2011 is descending upon us in Toronto. Tuesday July 5th and Wednesday July 6th we'll see 20 Barista compete for the coveted title of Regional Champ, along with one of 5 spots at the National Comps held in YVR (Vancouver) Oct 2-3rd. What you'll need to know about the two-day event. 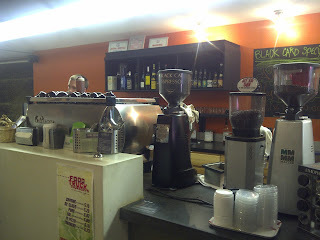 Each competitor must prepare and serve 12 separate espresso beverages: 4 espressos, 4 cappuccinos, and 4 "signature" drinks of their own creation. Competitors have only fifteen minutes to prepare all twelve drinks and are judged by a distinguished panel of local food and coffee experts. The judges will assess various elements of the competitors performance, including station cleanliness, taste, beverage presentation, technical skills and total impression. 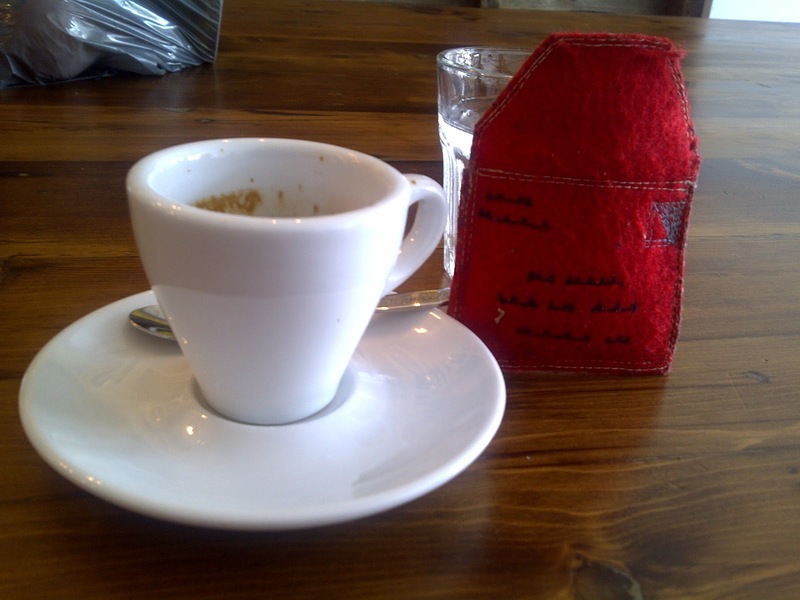 A showcase of a coffee cupper’s ability to demonstrate their speed, skill and accuracy in distinguishing the taste differences in specialty coffees. 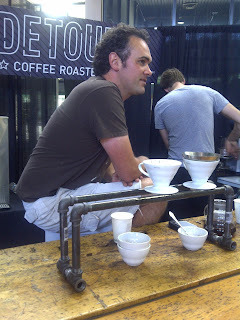 8 triangle set (3 cups) are placed in front of 3 (head-to-head) competitors. In each triangle, two cups are identical, one is different. Using skills of smell, taste, memory and concentration, the competitor will try to identify the odd cup out in the triangles, in the shortest time possible. 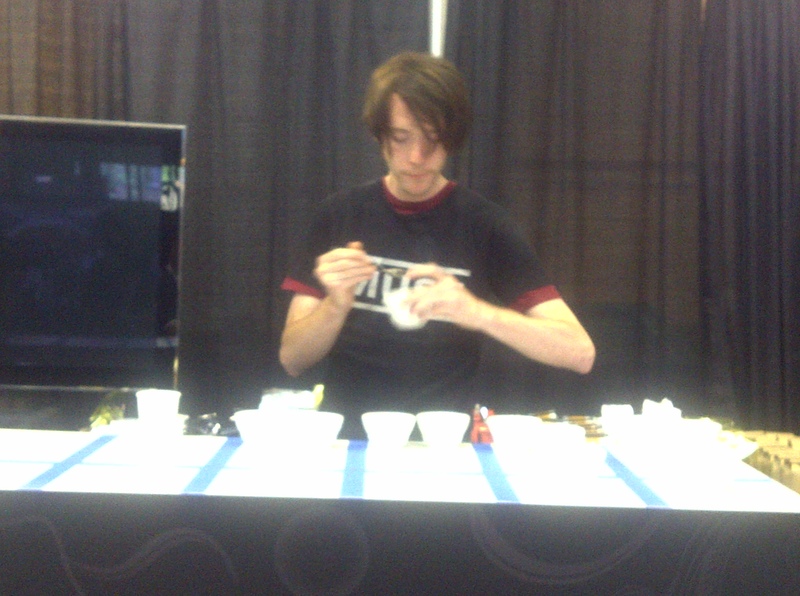 After eight minutes, the round stops and the competitor discovers how many correct done by lifting their selections to reveal whether or not it has a mark on the bottom of the cup. Top 3 competitors advance to the final round on Wednesday. Competitor with the most correct selection in the least amount of time wins.